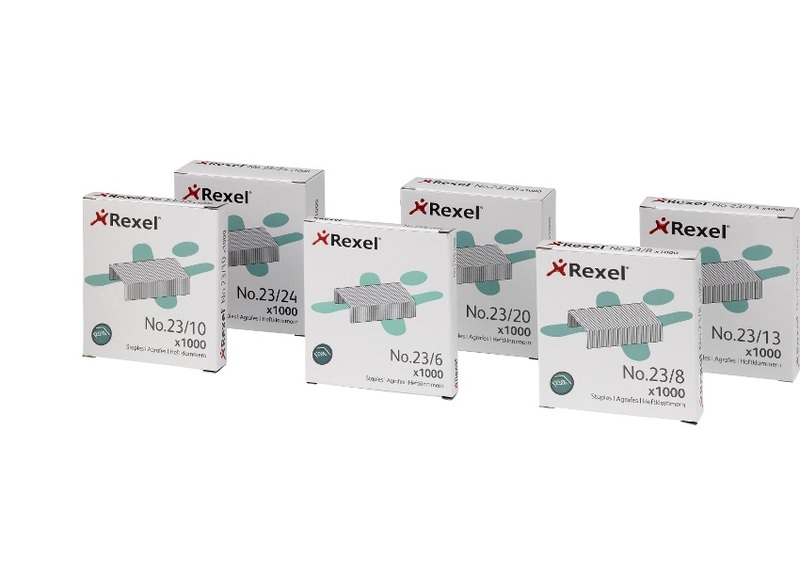 Made to Rexel's exacting standards of quality, Rexel No. 23 staples are recommended for use with Rexel tackers and heavy duty staplers. With a staple leg length of 13mm and a max width of 13.07mm, these steel staples have a capacity of up to 90 sheets of 80gsm paper. This pack contains 1,000 staples.